My weekends are currently based around football schedules but it's all good because that means football food! Who doesn't love that?! I love to make the classics but I also like to put a little twist on them. These recipes will not disappoint! 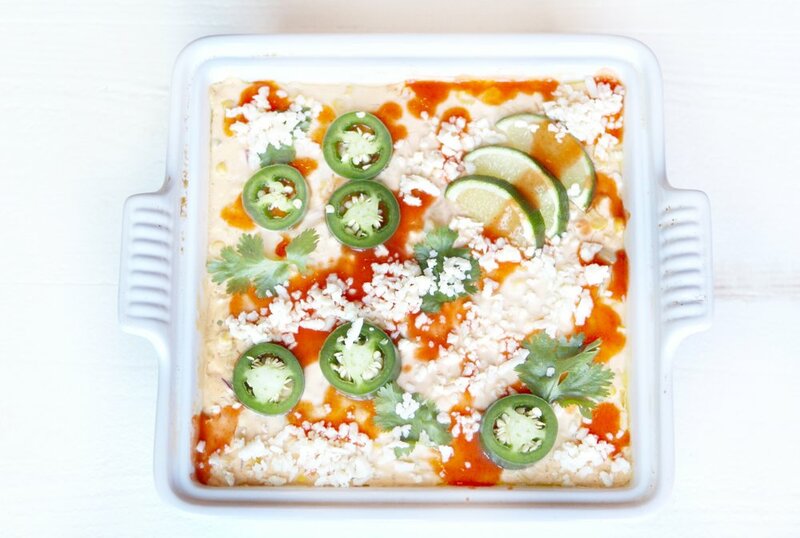 Put the cream cheese, sour cream, garlic, hot sauce, lime juice and 1 cup of shredded cheese into a blender. Pulse until combined. Cut the kernels off of the ears of corn and place into a bowl. Add the mixture from the blender, remaining 1 cup of cheese, cotija, jalapeño, and red onion to the bowl and mix until combined. Pour mixture into a baking dish and bake for 20 minutes or until the cheese is hot and bubbling. Garnish with cilantro, a little more cotija and hot sauce. Lay the crescent roll dough out on top of parchment paper on any flat surface. Press the ridges of the dough together so that it forms one continuous sheet. Use a knife to cut the dough into 1.5 inch wide strips. Cut the hot dogs into 2 inch long cubes. 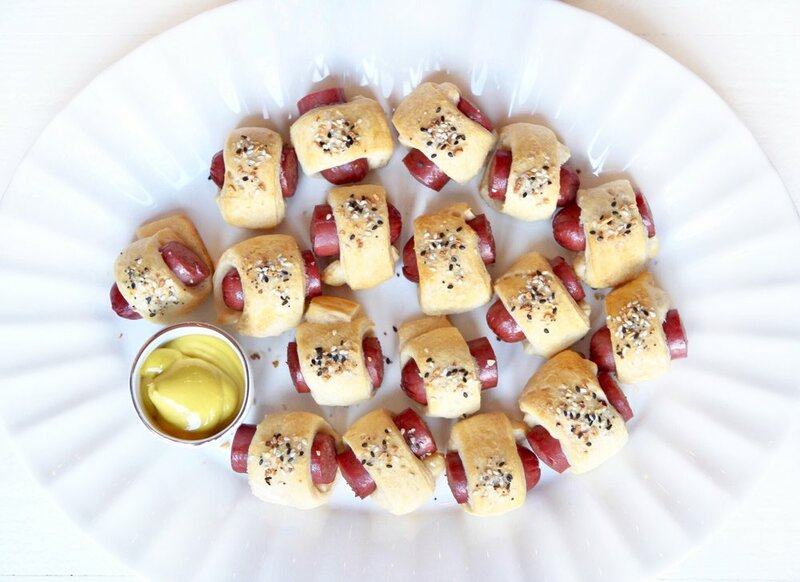 Roll the hot dog cubes into the crescent roll dough. Top each piece with a sprinkle of "Everything Bagel" seasoning. Bake according to directions on dough packaging. Serve hot with dijon mustard and ketchup for dipping.